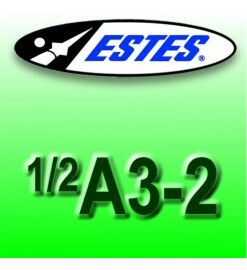 Estes Mini motor series, for very small and light rockets. 13 mm motors There are 7 products. 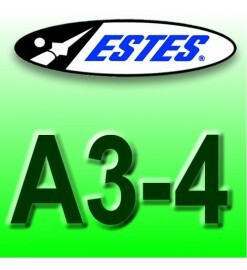 Package of 4 Estes 1/2A3-4T "Mini" model rocket motors, for small and light rockets. Pack of "Mini" rocket engines, diameter 13 mm. These small engines are suitable for light and thin models, very fun and perfects for small spaces. 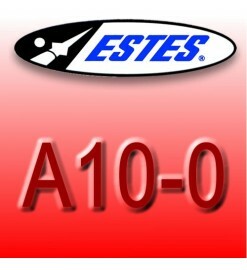 The smallest Estes motors! With these motors you will fly very small and light rocket even in your courtyard! 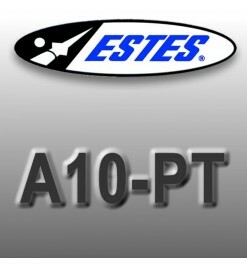 Pack of 4 Mini Estes motors type A10-3. So much power in a small package! A booster for mini multi-stage rockets. Take the chance to create a two-stage rocket without the need for large spaces. Mini engine with plugged end, without parachute ejection charge. 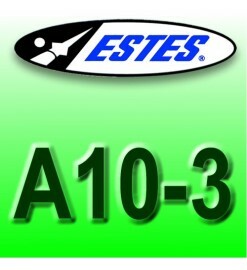 It can be used in boosters or cluster rockets, in rocket cars or rocket propelled airplanes.